It’s really all about blue when it comes to boy’s rooms or accessories… whether planning a nursery or the hoped-for layette from the baby shower, you can’t help yourself – “blue” is the only color that comes to mind in conjunction with boys. Well, you needn’t feel restricted to choosing pale blue only when it comes to decorating a boy’s room. While hues of blue have certainly been the rule of thumb as to room colors for boys, it is easy to stray to a more bold and vibrant look, or simply keep those blue hues and just tweak them a bit. Unlike your young miss who may like picking out a new room color and accessories for her room, a boy is less likely to enjoy the whole decorating project and you’ll probably get “whatever” when asked for his suggestions. 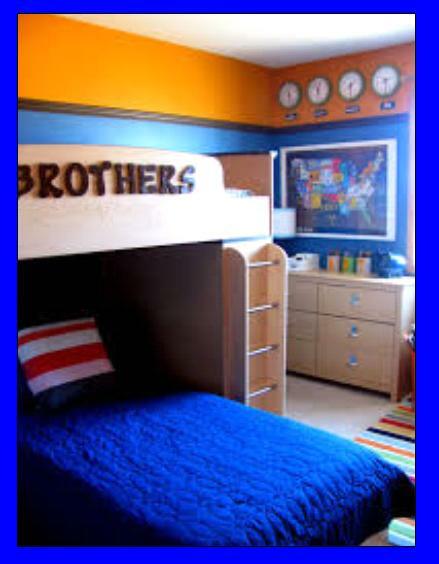 So, it is you who must peruse the online color charts for trending room colors and decorating ideas for boys. A young boy’s room might be a place of solitary confinement – a place where he will hunker down to do his homework, or simply ruminate about life and teenage angst, or listen to his iPod. Unless he is affiliated with sports at school, a majority of his waking hours are spent on electronics – homework, relaxation and sleep. He probably is not too concerned about how his room is decorated, but, if you make that room a trendy and exciting place, he may bring his friends over and at least you know where they are hanging out, so that is a plus. Though blue is certainly the most-popular color for boys’ rooms, there are other colors on the palette which are popular and trendy as well. Why not use the colors of the crayon box, also known as the primary colors of red, yellow, orange, blue and green, as they are a great choice for all boys’ age groups? 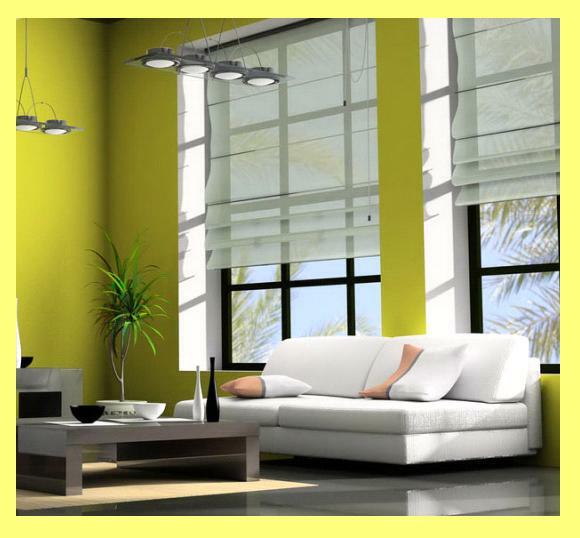 Accessorizing the room with the same vibrant colors can keep the room jazzed up and modern looking. Walls painted in darker colors like navy and pewter are replacing the more traditional boys’ rooms color like beige or brown. These colors are not only trendy, but practical as well – it means less paint touch up in the room from those always-present scuffs or smudges that mar the wall. Darker hues like the medium blues and greens are also a great choice for all age groups because those wall colors and design style will grow with your child, and mature as he does. Create an art extravaganza by painting a neutral color like dove gray or medium blue and then transform those plain walls by decorating the perimeter of the room with your child’s artwork. Simply frame school artwork inside funky frames to make a fun statement. Or adorn a wall or two with artwork simply by using self-adhering cork tiles and pin the artwork on there or string it clothesline-style on a wire along the wall(s). In this respect, if you have a budding Picasso, the art can always be fresh and it is interchangeable without the need for constantly running to the framing shop. If you are really, really brave, take a focal wall and some big fat markers and hand them off and let that kid go to town. You might be surprised how unusual and fun this look will be and it only lasts ‘til the next paint job. Cater to the young man’s hobbies and passions because, while you may fret and stew over what colors look best in a young boy’s room, that young man could care less what hues his haven may be painted. But creating a fun and lively place for him to hunker down… now that will surely grab his attention. There are a million ways to dress up those medium-colored or neutral-colored walls and keep that room from looking boring. Whether that boy loves action figures, animals, big trucks or anything related to sports, including those he may participate in himself, you can create a fun look to adorn those walls. It’s a look that sure to garner a grin, even from that young man who doesn’t give a whit about decorating. So whether you stay “safe” with some type of blue color, stray to the dark side, go with gray or use a bright and bold rainbow look, for boys, a medium-colored wall color is your best bet. A consultation with a painting contractor in Northern New Jersey will help you create a color combo or perfect shade for that boy’s room and that painter will have the bedroom looking edgy and contemporary in no time at all. The post-project pairing of accessories will create a winning combination sure to make everyone happy.